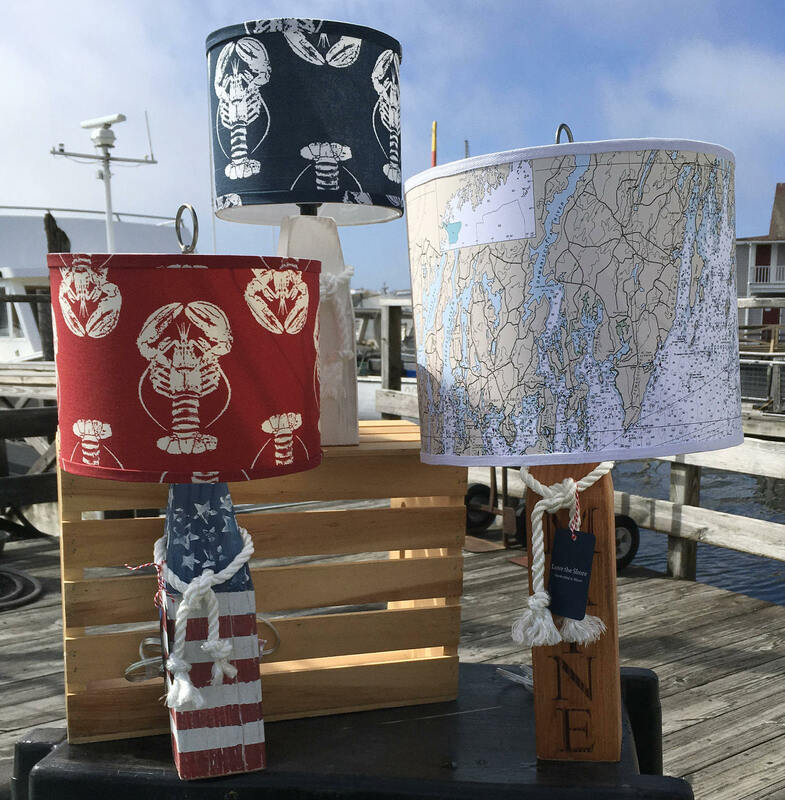 Our Buoy Lamps are available in 3 sizes and include our handcrafted lampshades that are made using your choice of Nautical Chart(s) or fabric lampshades. 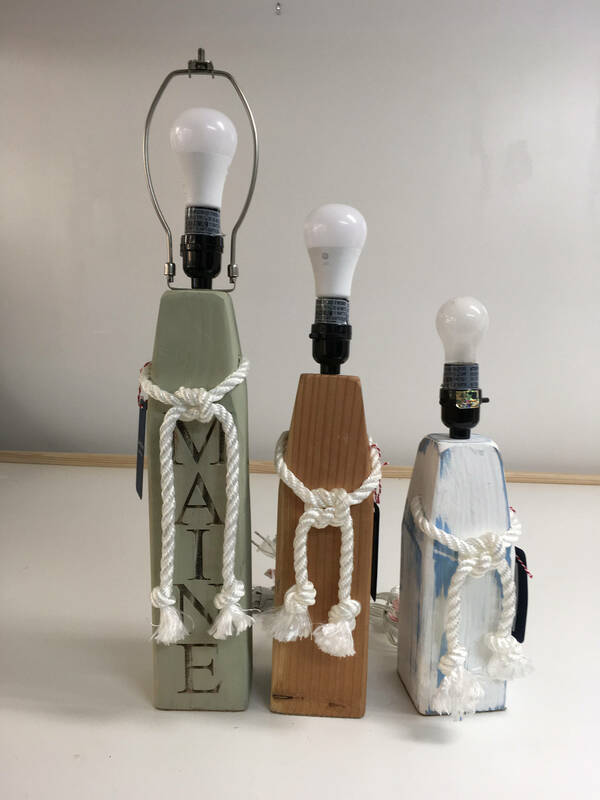 The small buoy lamp has a 10" base – and an overall height (with 8” round lampshade) of 17"
The medium buoy lamp has a 12" base and an overall height (with 10” round lampshade) of 21"
The large buoy lamp has a 15" base and an overall height (with 13” round lampshade) of 24"
If you are interested in a different size buoy lamp please convo me with your requests and I will provide you with our best competitive price quote. We cut and shape our own buoys, so we are very happy to accommodate your requests. After your purchase, please convo me with either the chart number or location that you want featured on the lampshade. 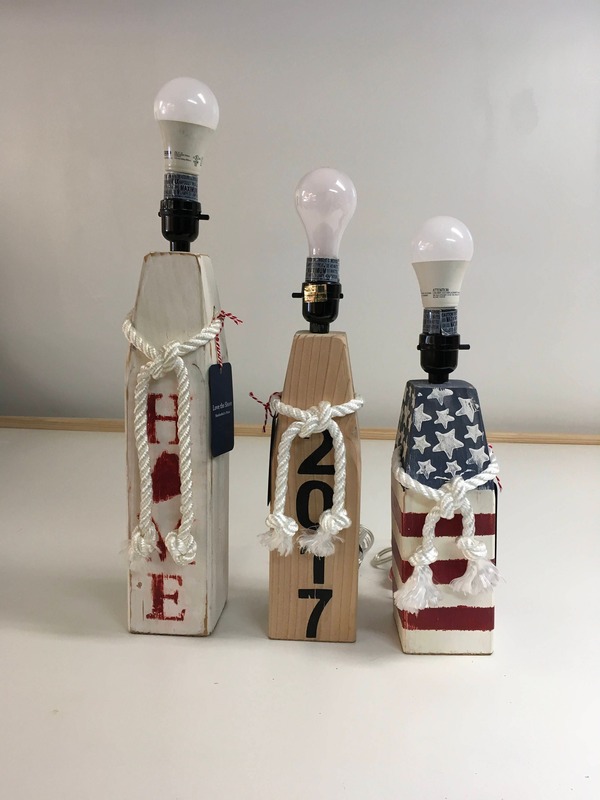 Also, specify how you want to buoy base decorated – I can do most stain finishes, color choices, and combinations that you want. Please see our photos for some examples of – stains, solid colors, and combination of colors and names, numbers, longitude and latitude, stripes, solids, and more! 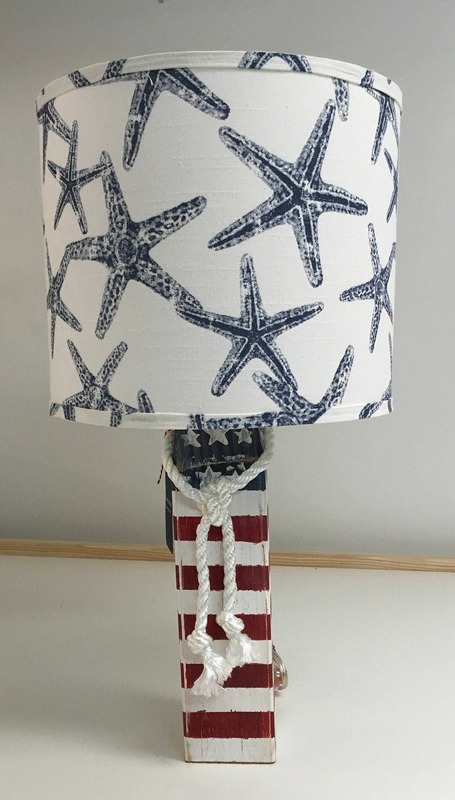 We even have our own Stars ‘n Stripes design in honor of our flag and country – it has been very popular. Please see our separate listings for more information about the shade sizes. I can easily adjust the height of the shade based on your requests. The fabric shades are finished with either a fabric bias tape in a color that matches the fabric or a matching bias tape that I make using the same fabric as the shade - it really finishes the edges and makes the shade even more beautiful! The nautical chart shades are finished with either a white or beige colored fabric bias tape trim. 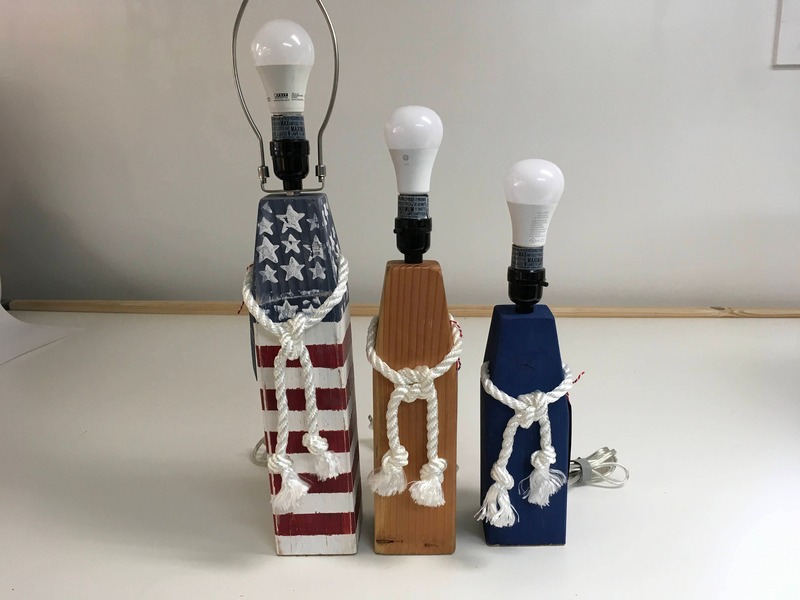 If you don’t specify what color trim you want, then I will use my artistic eye and choose something that I think will look great based on your lampshade and buoy base colors. The lamp shade image is mounted on heat-resistant styrene, so you can use 60 to 100-watt bulbs. Clean up is very easy - just use a lint roller or clean, damp cloth. 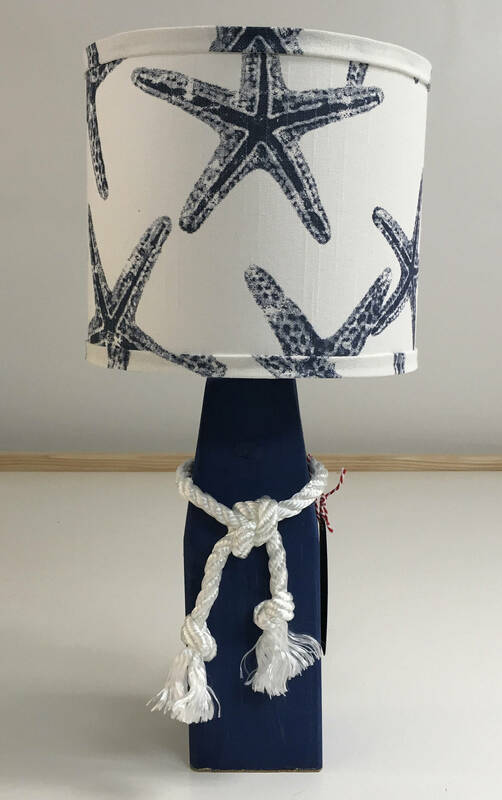 I add the white rope and tie it in a simple nautical style knot. The bottom of our buoys is finished with a cork bottom to protect your surfaces. 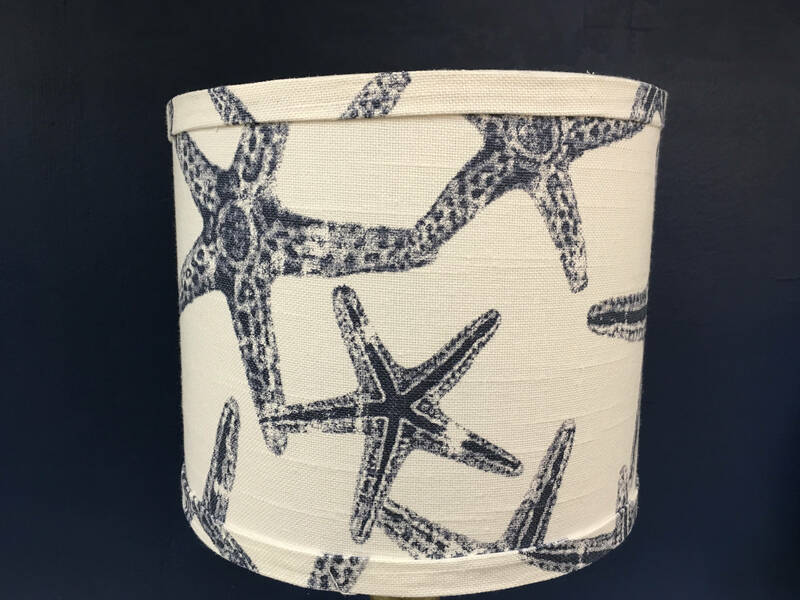 This listing is for our buoy lamps, but we also sell the lampshades separately in a wide variety of our fabrics, your fabrics, or your photos! 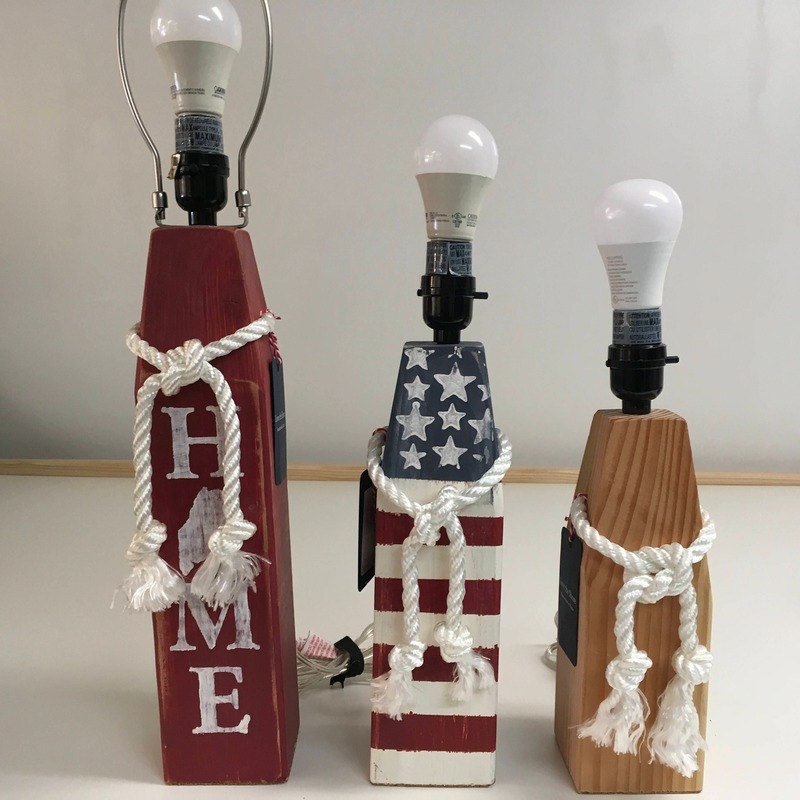 Plus... we have custom coordinating night lights too! Please note that I typically ship using US Postal Service - and there is a bump in price when the packages exceed 14 inches. Thank you!